Our Family Circus taster workshops offer the whole family a chance to try circus. Suitable for adults and children aged 3+, these sessions are a fun introduction to a range of circus disciplines. 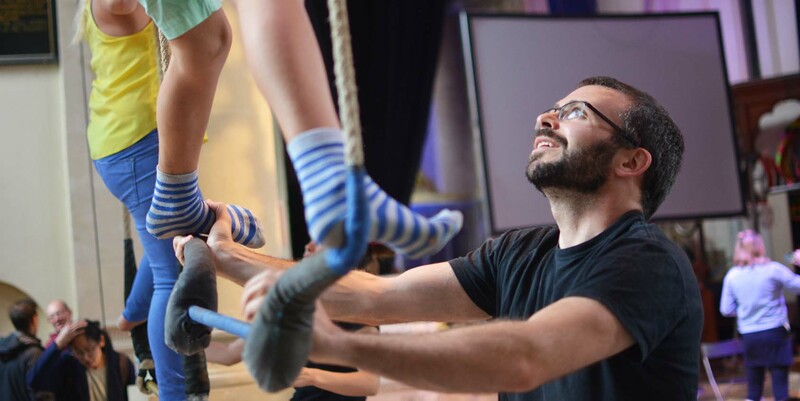 Having warmed up with some fun games and exercises, you’ll try tightwire, trapeze, juggling and more under the careful guidance of our expert tutors. Our family tasters are always fun and busy – there’s something for everyone regardless of experience or confidence. Did you know we also run Youth Circus Taster Sessions on the same dates, from 14:30 – 15:30? You can book onto both sessions to extend your child’s taster experience! If you enjoy the session, you might want to look at our regular Adult classes and Youth Circus classes.